We all remember our first. Whether that was your first car, or your first kiss at the school dance, or your first child is born, we all remember the moment it happened and how it made us feel. In the Kratom community, one of the more popular and first strains for Kratom users is Bali Kratom. Should you go with Bali if this is your first time using Kratom? How do you use it? Are there different types of Bali? Should you take powder or capsules? We will explore these questions, and more so you have everything you need to know about Bali Kratom. Why Is Bali Your First Kratom Experience? 1 Why Is Bali Your First Kratom Experience? 2 Should I Take Bali Powder Or Capsules? 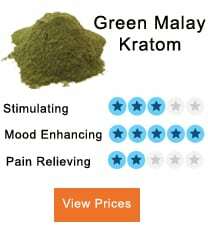 3 Are There Different Types Of Bali Kratom? 4 What Is The Suggested Dosage? 5 Are There Side Effects With Bali? 6 How Do I Combat Bali’s Bitter Taste? 8 When Will I Feel Effects? 9 Bali Kratom: Is It A Safe Strain? The debate of where Bali first originated is entertaining but rather unimportant — saying that some claim that it’s called Bali for obvious reasons.it’s from Bali. While others say, the strain hails from Borneo. Regardless, it is a favorite strain and people’s first choice for two obvious reasons. One, this kind of Kratom is one of the most affordable strains out there on the market. Whether you are going through recovery or you want to experiment with a natural product that will relieve pain, you will appreciate the fact that this strain can save you money. Second, this strain is known for its intense whole body experience, that can last up to 3-4 hours. So while it may be cheap, don’t let that fool you, as Bali Kratom delivers the goods just as well as the other strains. The red strain is known to have higher analgesic effects, which in essence will curb pain and produces sedative feelings. All of Bali strains have shown incredible abilities to help alleviate withdrawal symptoms, as well as promote a relaxing state of mind by reducing stress. Should I Take Bali Powder Or Capsules? Either form of this strain will give you exactly what you are looking for. This question comes down to one thing. How fast and easy you want to get to what you are looking for, right? Some people can’t do the powder. Why? To be sincere, Kratom doesn’t have the most pleasing taste. Moreover, it has a bitter taste. The powder is also much messier and can get all over your house, which is inconvenient. Lastly, for a beginner, you will want to know how much you should take. With powder, you have to measure out the proper amount to receive the correct results. You will instantly realize the intangible difference between the caps and powder. Capsules, generally speaking, are more expensive than powder form. Also, when you take capsules, the Alkaloids or compounds that produce relaxation, pain relief and more, take much longer to be activated. You don’t get that instant feeling or quicker action as you do when you take the powder. The answer is…You. It’s a matter of preference. The drawbacks of each are above. That said if you want a quicker punch, a more natural experience and more affordable–go with powder. If you can’t stand the mess, and can’t stand the taste–go with the capsules. Are There Different Types Of Bali Kratom? There are three different types or veins of Bali Kratom. All of them support a healthier lifestyle, promote sobriety and offer the positive effects you affiliate with Kratom. Produce the best sedation effects out of the three veins but are harder to find. Explore white vein kratom here. These are most effective with migraines or osteoarthritis because of their pain relief properties. The green veins combat anxiety. Get green vein kratom details here. The most popular and bought type that produces all of the effects is listed above. Read all about red vein kratom. When you first dabble with powder Kratom, regardless of the strain, the first thing you should go out and do is get a measuring device. Digital scales may make your life much more relaxed and there’ll be less guesswork. Having said that scales could be much more expensive. You can always go to the trusted teaspoon. A half teaspoon equals 1.5 grams. If this is your first rodeo, then try Bali at 1.5 to 2 grams. Anything below 1.5 won’t produce effective results. Gradually elevate your dosage every half hour to an hour until you begin to feel the effects. Whether you are mixing up a fusion blend or riding a Bali solo, most users seem to hover around 3-5 grams. After you’ve been using Bali Kratom for a while, you can increase your dose up to 8 grams. 5-8 grams is an appropriate amount at this level. You shouldn’t exceed that amount. Are There Side Effects With Bali? There have been no reported overdoses or any known side effects to Bali Kratom when it is utilized properly. How Do I Combat Bali’s Bitter Taste? One of the more popular questions for new Kratom users is how to combat the undesirable taste that it has. Most users get creative and start mixing it with different foods and drinks. The most popular way to combine Bali is with coffee. If you plan on mixing it with coffee, then it is recommended that you use a third of the standard dose amount. You can also combine Bali with ice cream, tea, milkshakes, and lemonade. It won’t hurt you or Kratom if you get creative with food and drinks. Back pain was relieved within 30 minutes after using 3 grams of Bali. Excellent for pain relief and muscle relaxation. When Will I Feel Effects? Most users have said you can start to feel the effects as quick as 15-30 minutes after the first dose. The general peak time for Bali Kratom has been reported at 2 hours and then a gradual decrease in effect to thoroughly unnoticeable around the four-hour mark. Bali Kratom: Is It A Safe Strain? Bali Kratom is one of the more affordable and popular options because of how safe it is, as well as, how incredibly productive it is. Comparing it to harmful drugs like Methadone and Suboxone, with this strain you don’t have to worry about harmful side effects. There are no known side effects or fatalities with Bali Kratom. If you take this strain correctly, you will start to notice important benefits to your body. It isn’t uncommon to experience much more joy, happiness, relaxation, and many more positive attributes once you begin using Bali Kratom. I’m glad to see more people are finding out about Kratom. Bali is the best in my opinion, because it hits you quicker and is stronger at first. Then it wears down faster as well. It’s a nice balance. Congrats everyone for being sober considering the epidemic of opiates today. I’ve used Bali Kratom amongst other strains for a few months now and I haven’t touched a single drug since. I owe that to this miracle super tree. I don’t really mind the taste of Bali strain. Some other strains of Kratom are far worse. I’ve heard people putting it in salad before. Definitely helps with pain. I use it for anxiety at night. I’ve been clean for two years now as well!! As a flooring professional, I had bad knees and was always in pain. I’m a father though, and I didn’t want to be hooked on painkillers. I’m glad I gave Bali Kratom a try. It’s safer, healthier, and it works great. I take it with my coffee every day before work. I agree with Adam, and I refused to keep taking painkillers for my bad back. Instead, I went online and found a vendor for Bali Kratom and I’ve been so much manageable with pain since then. Yeah I would definitely recommend either a Bali Kratom capsule, if you don’t like the taste. It’s a bit bitter. Some people put Bali in milkshakes. I’ve tried it and its not bad. Bali Kratom is a mild sedative, so I use it during the night in higher doses. I only take like a gram or two during the morning hours. It’s good for me, you’ll have to experiment to find your natural groove.–. 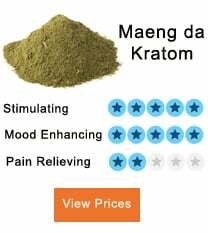 My first experience with Kratom was okay, kind of weak strain I got. My friend told me the correct way to dose and suggest red Bali Kratom. I use it with other strains four times a week. I actually take a little over 1.5 grams of Bali before a test. The amount of focus I get with it is amazing. If you’re student, and you have a hard time concentrating, try out Bali. Been using Bali Kratom (red vein) for my lower back issues. Works like a dream. I’m so much more mobile and happier than I was two years ago. I take Bali at night. I know it doesn’t last long but it is strong. I would recommend you taking this in the morning for a kickstarter. I put Bali in tea and coffee in the morning. It’s not the best tasting stuff, but such a better stimulant. You don’t get the jitters or sweats like you do with other stimulants. Just put a gram or so in your favorite coffee blend in the a.m and you’re all set. Bali Kratom is definitely the most potent as far as relaxing properties are concerned. You’ll want 1.5 – 3 grams your first time as my advice. My brother and I experimented with Bali three years ago. We swear by it. We haven’t touched any narcotics in that time. I owe that to Bali and other strains of Kratom. My brother overdosed a few years back to Heroin. I was going down the same path. I hear about how the DEA wanted to ban Kratom but I definitely wanted to try it before they did. I tried Bali, and what a difference it has made in my life. Let’s hope we can keep Kratom legal. As a former opiate addict, I was running low on the choices and death was looking so much more likely. One of my friends told me about Kratom. So I looked into it and discovered Bali. Definitely has helped me get my life back on track, and if you want to get back on track, you should at least give it a shot. 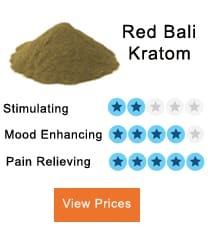 Suffered arthritis for many years and while I agree with some of the comments, I think you can take Bali Kratom at any time for a more nootropic experience. The best strain is definitely red by far. I’ve taking 6 gram doses of Bali Kratom for about a year and a half. I used to be an addict and Kratom has definitely made a difference in my life. I feel so much more productive and my moods are way better. I actually take the Bali Kratom capsules, because I couldn’t stand the taste. It helps me with work and other endeavors. I’d recommend it for anyone looking to get off drugs. Red Bali Kratom is the best kind, in my opinion. I’ve been using it for two years and I’ve used it for depression. I feel so much more vibrant and alert. Bali keeps me out from social fobia. Please I just want to know if I can trust Bali kratom. I have heard a lot about it being a good relaxant. Please, can you explain more about other benefits it has and how effective it is? I am cautious with what I take into my stomach. Please, can I trust this? You are right to be careful about what you use orally. Bali kratom is one of the kratom strains you can put your trust. Indeed, it is very useful in helping users feel relaxed. Unlike other strains that cause anxiety, Bali kratom calms it instead. You can go about your day without feeling anxious even when you would have expected to. It serves me other functions apart from sedation such as pain relief. I can confidently say this is the major reason people opt for Bali kratom. It has strong analgesic effects. So, it is a better and safer alternative to taking chemical-based painkillers for your chronic pain. Sabplameri got another benefit of this strain is that it somewhat suppresses appetite. Hence, it is perfect for you if you are looking to reduce your weight and level of food intake. are we talking about the same Bali Strain here? It did nothing for me. It’s a waste of money and time. Not worth it at all. Perhaps you got a fake. All those around me who use it, testify to its good work and so do i. You may have to buy it from another source (trusted) and try again. Energy boost, mood enhancement and more are also other functions Bali kratom serves. Even though it has a low chance of causing a side effect, taking doses higher than 6 grams may expose you to some side effects. 2 to 4 grams is moderate enough. I do hope this helps. wow, thanks highly beneficial. I will try it out. you can trust Bali kratom, I’ve been using it for months now, an excellent herb I must say. It suppresses my appetite fairly, I use it for that purpose, and it’s working well for me. I’m a little overweight and trying to fall in shape. I have read all comments. Will this truly work for my chronic back pain? I am tired of popping pills daily. What do you think, please? I used this strain for my appetite, but it did the opposite. I began eating like a glutton. Perhaps it is not for me because I have seen it work for people. So sad. I’ve stopped using it. Are you sure you got it from a good source, this thing works. Or, maybe it doesn’t work for everyone.